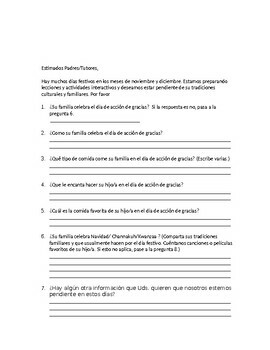 This is a parent survey in English and Spanish that asks culturally responsive questions about family foods, customs and traditions. 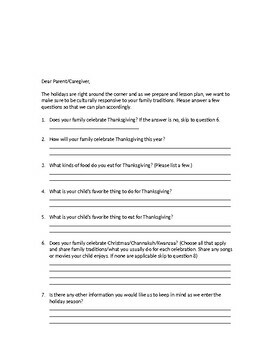 This will help inform your practice as you lesson plan for the holiday season. It is in word document form so that you can just drop in your personalized school or private practice header and print. Enjoy!